The old wall is a border: England and Scotland, South and North, light and darkness. It is 1745, and the long-awaited night as come. 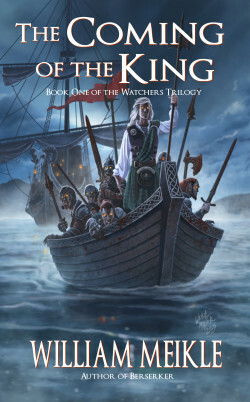 The Bloodking calls his army to battle, and armed with the powers of the undead and the damned, he will bring them South to claim his birthright: The throne of Britain. Only the old Watchers on the wall stand in his way. They, their swords, and their faith. But too much time has passed and the Watch has grown slack and ill-prepared for the coming war. Only Martin and Sean have seen the horrors that lie ahead for humankind. Only they have the power to stop it. A best-selling series with over 500 5-star reviews! DON’T TRUST WHAT YOU EAT. DON’T TRUST WHAT YOU DRINK. 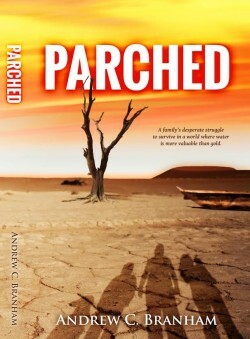 In a world plagued with violence and infection, Ken and Roberta Smith want nothing more than to find their son. Having been on the road for four days, they must now cross the remaining three hundred miles of desert wasteland to get to him. 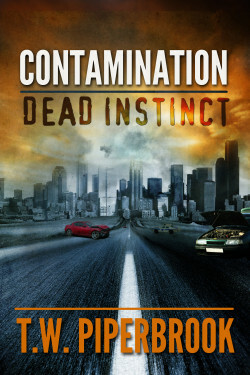 Isaac Smith has been trapped in Phoenix since the infection began. The city is virtually impassable, and the infected are everywhere. Will he escape the carnage around him? Or will he die in the city he once called home? When life gives Tiz Phoenix lemons, she hunts life down and kicks it in the shin. She’s a tree nymph. And that’s what tree nymphs do to survive in a modern society that keeps stretching across our Earth. Now that Tiz is thirteen, she’s counting down to a rite of passage that would grant her a powerful object. With it, she could save her woodland home and reach her goal of protecting all things good and green. That is, if she doesn’t get grounded first. The day before the rite, Tiz stumbles upon a pamphlet that her mother dropped — her mom wants to banish her to a military academy for magical beings that lies in the farthest corner of the universe. Unlike other mystical schools that young witches want to get into, Tiz would rather run for the hills to stay out. 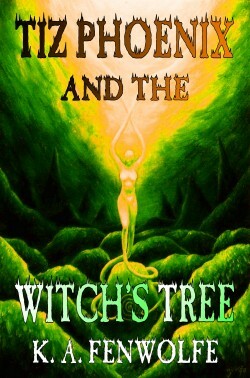 However, her attempts to avoid going could lead her into a bigger mess — a mystery involving a monstrous tree of legendary evil. The magic and wonder of Harry Potter meets the melt-your-heart romance of The Vampire Diaries. A huge fan of Jane Austen, Danielle hopes to find her own Mr. Darcy when she leaves Colorado to attend art school in London. She thinks she’s found him when she meets Ethan Deveroux. Much to Danielle’s dismay, however, her hero is held by a spell which fractures their chance at a happy ending. 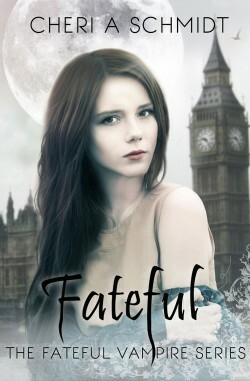 Because just as the sun sets the powerful magic of an ancient curse is revealed, and when that magic begins, Danielle’s fairytale romance ends because Ethan Deveroux is a vampire.